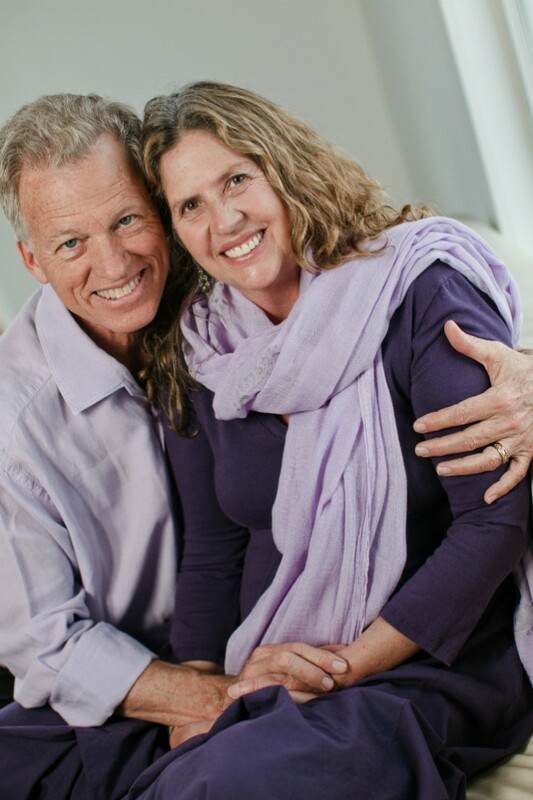 Blog | Gary & Radha Bello | Gary & Radha Bello offer a premier coaching experience that integrates Eastern wisdom and Western body-centered psychology to enable our clients to discover how to live to their fullest potential. Though we may not remember it, when we were toddlers we all experienced the awesome wonder of standing for the first time without falling—where suddenly a world of opportunities opened to us. Children live in the now. Their experience of life is strong and their curiosity is huge. In this process, we can be like children, looking at the world from a fresh perspective without distorting the events happening presently through the filters of our past experiences. At its most subtle level, awareness is consciousness. It is the spark that gives us the ability to perceive and experience the world in which we reside. At its purest, that perception is unencumbered by thought and preconceived notions, and the world is therefore experienced exactly as it is: perfect in its design and intention. There are many theories on the source of that spark, but in order to embark on this journey, it isn’t necessary for us to have a definitive answer to the question of its origin. Here, we simply need to accept that at the heart of the matter we are aware beings, and each of us has a certain amount of self-reflection; it can be vast, or small, or anywhere in between. Whatever the case may be, when we take steps to expand our awareness, we are giving ourselves the opportunity to experience a greater range of emotions, and this allows us to learn fully from, and grow with, the world of experiences and relationships around us. Awareness equals light. When you turn on the light, you see some of what is hidden by the darkness. When you turn up the light even brighter, you see even more. Turn up your light and see what happens. This entry was posted in News on June 19, 2012 by Gary Bello. There are so many individuals in our world that have not yet discovered how important it is to take responsibility for becoming upset. It is so easy to blame the situation or another for being the cause. In this radio show I share how important it is to learn how situation trigger our upsets but do not cause them. This show is serving the Seattle community and airs in the early AM with over 300,000 listeners. I met Brenda Michaels and Rob Spears at a wedding I was officiating a few years back and I was impressed with their dedication to offering healthier solutions to the Seattle community. Please find the show in it’s entirety here, I start speaking approximately 20 minutes in. This entry was posted in News on May 10, 2012 by Gary Bello. In my last blog entry I wrote about the onset of spring. I would like to continue with this topic by focusing on something that has fascinated me for the past four decades: the ever-changing aspects of Mother Nature. Everything that falls under the category of the material universe, including the mind and emotions, has a starting point, remains in existence for a certain period of time, and ends when its cycle is completed. For example, by the time I finish writing this sentence, cells in my body have taken birth, will remain in existence for a while, and then die. At this very moment, the cellular structure of my body is a microcosm of this remarkable, fluctuating macrocosm we call the universe. Nothing remains the same forever. There is no altering this law of nature. Einstein hit the nail on the head when he concluded that you cannot destroy or create matter but only learn to flow with its ever-changing nature. If you are not prepared to deal with this fact, you may find it difficult to deal with the unknown possibilities that lie ahead for each of us. Fear of change is common, and with today’s financial and environmental changes, there is a tremendous amount of uncertainty in the air. Certain changes are cyclical and therefore predictable, while others appear suddenly, forcing the unknown down our throats. And then, on the other hand, some of the changes are welcome, such as the birth of a child after its nine-month stay in Mom’s womb. Nature’s cycle of seasons is one of the predictable changes (check out our previous blog entry “Spring Ahead”), yet even within this recurring change of weather, the unpredictable still exists. Cycles are changes in patterns. In a way they are the constants in life, and they offer us opportunities to remain available to the winds of change. Our relationship to the ever-changing nature of life forms the foundation for mental and emotional balance. While the predictable cycles that include birthdays, the seasons, and the moon cycles are easily accepted as a part of life, there are other changes we wish would go away and leave us alone. Tropical cyclones most definitely fall under this category. They arrive suddenly, with only a few days notice, and their cycling winds and unrelenting rain can cause a fair amount of damage. Thankfully, they are not permanent fixtures on the landscape, and eventually the sun shines once again. Mental and emotional cyclones are also unpredictable and can damage our relationship with others. However, even these cycles have a beginning, a middle, and an eventual end. For better or for worse, if we are upset and wait a bit, the painful feelings will subside (for a while). Similarly, even joyful moments spent with loved ones will end. Everything changes, so the question is: How comfortable are you with those changes? Those who know how to navigate through the unexpected tempest fare well, while those who are lacking this skill get blown around and sucked into the vortex. Just like the seasons, the lessons we need to learn seem to arrive in cycles. If we are unable to navigate agitating situations, they just might become cyclones, making it even more difficult to lessen our confusion or suffering. And if we do not learn the particular lesson embedded in the upset, we can always count on it returning at some future time. Like all things cyclical, these lessons have a purpose and are destined to reappear time and again to give us another shot at learning them. I have heard it said that the compassionate universe always give us another chance . . . even if we would rather that it not be so generous. Change and cycles are inevitable. We are born, we learn how to live in society, some become parents, we age, and at some point, we begin preparing for our departure. A lifetime of possibilities cycle before us, and whether we are aware or not, the lessons keep coming. This entry was posted in News and tagged Cycles, Cyclones, Emotional, Ever-changing, Fear of Change, Frustration Cycle, Gary Bello, Mental on April 19, 2012 by Gary Bello. Spring is a time of transition. The warmer weather, combined with longer days and shorter nights, gives us more time for renewal. Gardens awaken, sending each of us an invitation to touch, smell, notice, and get involved. There is expectation in the air as tender shoots peek out from the previously dormant flower bulbs and birds seem to chirp with a happier song. Yes, it is the season of change and new beginnings are definitely appearing all around us. Each day, with the additional hours of light, I check off many items on a to-do list that was started last fall. The end of winter always triggers powerful rumblings inside of me—strong sensations that whisper to me that something is about to shift. With no content to these feelings, there is no way of knowing what unforeseen possibilities lie ahead. Patience is required. It is a feeling of expectation similar to those moments right before a 10K race when the runner awaits the starter’s gun with a perfect blend of anticipation and relaxation. Every year spring ignites this feeling in me and I practice remaining available and ready. Calm anticipation is an interesting experience, especially since it is devoid of gloom or doom. It includes an inner knowing that something special and maybe auspicious is about to happen. We live in an unsettling era of unforeseen possibilities. Although these are uncertain times, they also include a promise for something better. And even though change is often beyond our control, remaining open and available seems to be the best posture to take. There is excitement in the springing forth of new beginnings, and with Mother Nature once again offering her nurturing abundance, life is good. So, as these feelings percolate within, I remind myself to remain open and receptive to all invitations, both subtle and obvious. Remaining responsive, instead of reactive, allows me to take advantage of the changes ahead. Those who have not yet prepared themselves for these moments of change may cling to the past and render themselves unable to appreciate the potential in the unknown. However, since living in an ever-changing world requires a strategy that accepts the inevitable, it would be more sensible for all of us to be aware of, and ready for, change. I personally continue the practices that remind me to remain balanced, flexible, and available to whatever is coming my way. So instead of seeing change as an upsetting inconvenience, I see it as a challenge and an opportunity for growth. This season of awakening, offers new beginnings, and although they might be unsettling, there is no way to prevent the inevitable. Therefore, I conclude that I might as well go along for the ride. When I am faced with changing circumstances, I remind myself that surfing the waves of uncertainty is invigorating. Then, I take the opportunity to thank the sun for sending its warming rays once again as we prepare for yet another grand cycle of birth and death. None of us are the same since November’s darkness began, and I welcome the spring ahead with an open heart and mind. I have discovered that being curious and receptive to life’s invitations is really a great strategy. As well, remaining available to change has some very definite benefits for it keeps us youthful and alive! This entry was posted in News and tagged Change, Gary Bello, Season of Awakening, Seasons, Spring, Transition on April 12, 2012 by Gary Bello. When two-year-old Emily Bear began playing chords on her grandmother’s piano, she had no prior musical training, but that did not prevent her from quickly becoming a child prodigy; although this is extraordinary, each of us is born with a special gift to share. Although some of these gifts remain unnoticed it does not take anything away from the fact that somewhere in everyone is genius. Genius is described as a quality, an outstanding talent, and possessing a specific skill or brilliance. This gift may express itself in the field of sports, music, arts, parenting, gardening, healing, or it may be as simple as possessing a smile that brings joy to others. A friend’s grandson had a remarkable ability to remember numbers. This three-year-old would rattle off the license plate numbers of license plates he had seen on family and friends’ automobiles. My late mother-in-law, Grace, had a tremendous capacity for being compassionate and kind. For some individuals their contribution may still be lying dormant, but it exists, and when the right circumstances arrive (for Emily it was sitting at Grandma’s piano for the first time), we have no choice but to express it. There are many factors that can support and encourage our gift and, unfortunately, an equal number of factors that can create obstacles to its expression; either way, it is still an integral part of our being. I became fascinated by this phenomenon when I began studying body-centered psychology in New York City. During those formative years, I learned that a person’s physical attributes create a perfect conduit/channel for expressing their genius. Even more fascinating was the fact that each of the six body types (with an infinite variety of combinations) has a direct impact on intelligence, memory, analysis, and discernment. How perfect is that?! There are two body-types that, because of a strong nervous system, can handle stressful situations without losing their balance. These particular genetic predispositions make some people more able to handle situations that require nerves of steel. Little Emily, for example, was able to perform at the White House for the President and the First Lady. But let us not conclude that these two body-types are ideal. Another body-type, although not designed for stressful physical activity, has a more sensitive nervous system that enables it to focus on abstract concepts; subtle dimensions are more obvious to those individuals. Let’s be sure to appreciate the shy types who, for example, made the Internet possible. Although the examples above reference only three of the six body-types, they demonstrate how genius (located in the mind) has a direct relationship with the physical body. As I continued my studies with Ron Kurtz, founder of Hakomi Therapy, I’ve discovered that there was a long line of brilliant individuals (from Sigmund Freud to Carl Jung to Joseph Campbell) who were influenced by ancient India’s sophisticated system of body-typing found in the Vedas. Ayurvedic medicine benefits more people in the world than the allopathic system that dominates North America today. The Vedic system is the oldest on the planet and clearly delineates the physical, mental, and energetic strengths and weaknesses of each body-type. So, whether we are short or tall, angular or symmetric, wide or thin, or any of the other combinations, each one of our bodies offers endless possibilities for us to express our special genius. As a matter of fact, the English word genius has the same roots as the word genes. That leads me to conclude that our physical genes must be related in some manner to our genius. In the Discovery Level, clients discover their body-type(s), their strengths and weaknesses and their unique genius. And since society has not reinforced or supported the idea that every person is special and unique, few people know their genius. Are you aware of your special genius? This entry was posted in News on April 3, 2012 by Gary Bello.